Lattimore Pearson was born and raised in Rockford IL. He faithfully attended church, but was not saved from his sin. In 1991, he came in contact with the truth of God's word through some Saints from Church of God, 4601 South Drexel Blvd, Chicago IL. Through the testimony of these Saints, Lattimore learned that he could live a holy consistent life. After being convicted of his sinful life, he repented of sin, and was delivered and saved from sin. In 1993, after reading the scripture Jeremiah 16:16, he felt the burden from the Lord to preach the gospel. 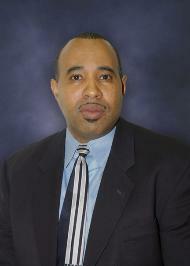 Bro Lattimore now serves in a capacity as an associate minister under the pastorialship of Pastor Ricky Dukes. He also has a burden for married couples and teaches the married couple class. Bro Lattimore and his wife Sis Gloria have two daughters.